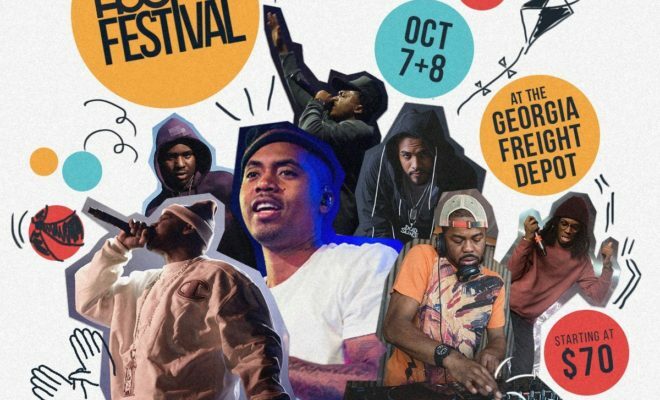 The Atlanta based four day festival is gearing up for another year. As the city awaits its competitive turn out, artists are prepping stage acts, printing CD’s, and perfecting their networking skills. As festival goers flood the streets of ATL, hopping from venue to venue, onlookers are amazed by the unity and cohesiveness spread across four days. The energy is unexplainable and eerily organic, and we’re pretty sure the vibe will intensify given the festival’s headliners. Promo material hit online mediums, announcing the lineup for this year’s fest. Nas, Ghostface Killah and Just Blaze lead the pack for notable artists, encouraging those interested to purchase their tickets ASAP. Not only will attendees experience some of the most influential tracks dropped in Hip Hop, they’ll have the opportunity to attend a gang of panel discussions geared towards the ins and outs of the music industry. Panel topics often range from the importance of women in the Hip hop and their affect on the game, to personal stories of success delivered from mega superstars. The festival will take place October 4-8 and will host over 1500 artists, producers, influencers and creatives. A3C (All Three Coasts) is an awesome experience for those desiring exposure and the opportunity to increase their network, all the while digesting gems dropped by Hip Hop game changers. How excited are you to invest in your future? Mark your calendar and book your flight, purchase your ticket here!